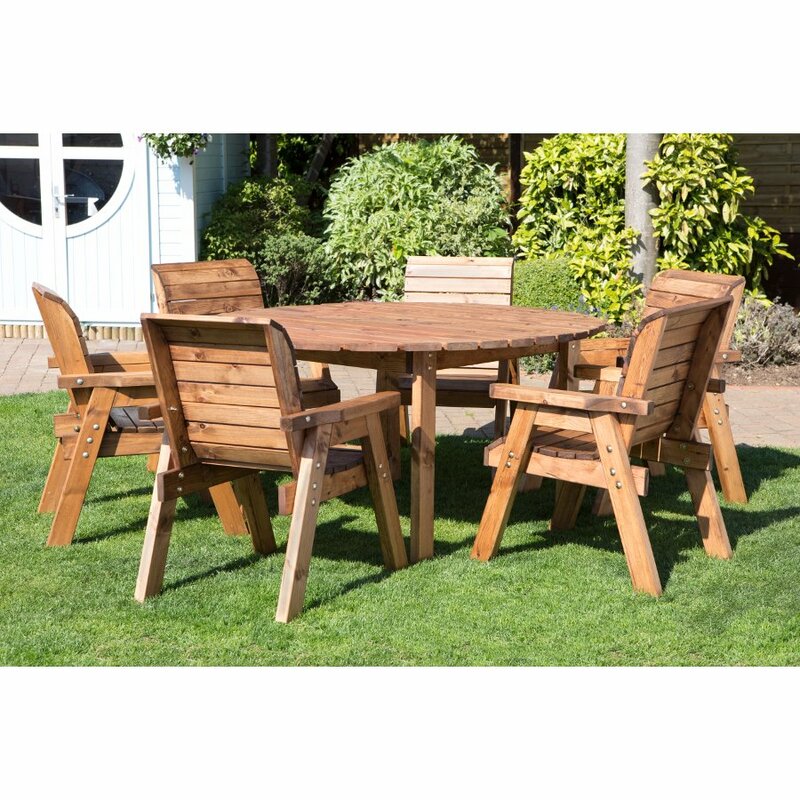 Enjoy a nice outdoor meal in the sunshine with the family with this sustainable garden furniture set which includes a round table and six chairs. 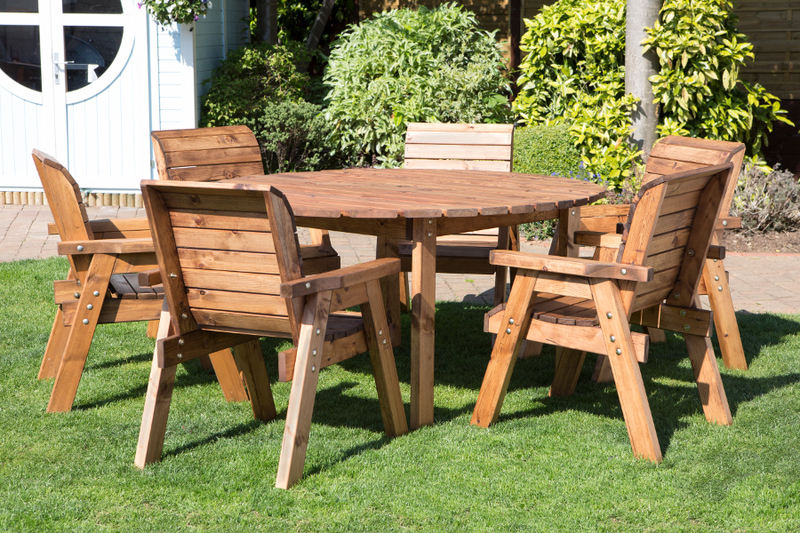 Made with sustainably sourced wood, this dining set is more sustainable and eco-friendly than many other garden furniture sets, and it has been lovingly hand crafted right here in the UK. Please note, the price includes a non-refundable £20.00 delivery charge. The supplier will be in touch to arrange a convenient delivery slot and the furniture will be delivered fully assembled except in cases where access is limited then the furniture will be assembled on site. As the item is made to order, delivery can take up to 14 days. There will be a £20.00 collection cost to return the item unless the item is damaged by the supplier. The Six Seater Outdoor Circular Table Set - HB10 product ethics are indicated below. To learn more about these product ethics and to see related products, follow the links below. There are currently no questions to display about Six Seater Outdoor Circular Table Set - HB10.